WELCOME TO ONE OF THE PREMIER LOTS IN BEAUTIFUL AMBER FIELDS....QUALITY BUILDER READY TO BUILD TO YOUR NEEDS...ENJOY A IDYLLIC QUALITY OF LIFE IN THIS GREAT SUB-DIVISION!!!. 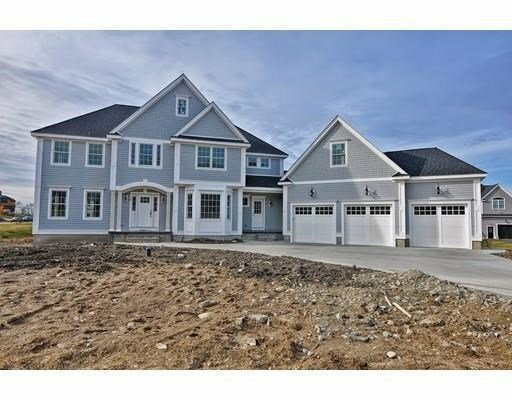 COME BUILD YOUR DREAM HOME....THIS LOCATION IS PERFECT FOR COMMUTING TO BOSTON OR PROVIDENCE AND THE AREA AMENITIES ARE AMAZING...THEY INCLUDE THE POPULAR PREMIUM OUTLETS, THE BIG APPLE, LAKE PEARL WITH BOTH PUBLIC BEACH AND BOAT ACCESS....THE PAN MASS CHALLENGE RIDES BY EVERY AUGUST.. ENJOY THE CUSTOM KITCHEN OF YOUR DREAMS WITH LARGE ISLAND, BUTLERS PANTRY, AND A TRIM PACKAGE THAT INCLUDES PICTURE FRAME WAINSCOTING, TRANSOMS, TREY CEILING TO NAME JUST SOME OF THE SPECIAL FEATURES!! !....WE HAVE PLANS TO CHOOSE FROM OR BRING YOUR OWN!!! CALL TO DISCUSS AVAILABLE LOTS AND MEET WITH THE BUILDER. ENJOY THE PHOTOS AND STAY TUNED FOR A SPECIAL VIDEO TOUR OF THE NEIGHBORHOOD AND AREA ATTRACTIONS!! SPRING 2017 DELIVERY.